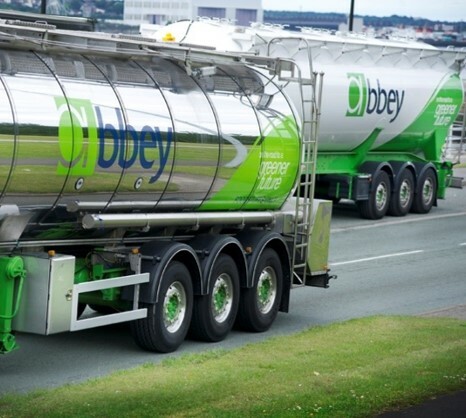 NorthEdge Capital has invested an undisclosed eight-figure sum for a significant majority stake in Abbey Logistics Group, to support an MBO led by CEO Steve Granite. The Liverpool-headquartered niche logistics provider specialises in the transportation of bulk food products in liquid and powder tankers across the UK and Northern Europe. The investment represents NorthEdge’s fourth deal this year and is the second investment from the recently raised £300m Fund II. Abbey Logistics was set up more than louisville wrongful death lawyer 25 years ago by the Lucy family, specialising initially in the liquid food ingredients transportation market, with more recent diversification into the bulk powder market. Long-standing relationships with a number of pan-European blue chip customers have been built up over the years enabling Abbey to grow to become a market leader in the food ingredients transportation market. The company has demonstrated strong year-on-year growth over the past five years with turnover more than doubling from £20m to over £55m in the current financial year following a number of acquisitions and large contract wins. The business employs over 450 staff and operates from nine UK sites including Wirral, Hull, Manchester, Knowsley, Middlewich and London. NorthEdge, which currently has £525m of funds under management, focuses on northern investments from offices in Manchester and Leeds. The funding will support the business as it continues to expand in an industry worth around £55bn to the economy. Abbey will target growth with new and existing customers, as well as exploring a number of acquisition opportunities that management has been progressing in parallel to the MBO with support from NorthEdge Capital. The deal will provide a full exit for the founding family and the business will continue to be led by Steve Granite as Chief Executive and Dave Coulson as Commercial Director. NorthEdge Director Jon Pickering led the transaction, with support from Investment Manager Dan Matkin and Portfolio Director Ben Wildsmith. Private equity experienced chairman Ian Kelly joins the board at completion. The board will be further strengthened post completion with the appointment of an industry veteran who will act as Non-Executive Director and a logistics specialist Group Chief Financial Officer who has been identified pre investment. The company was advised by EY (corporate finance) and Napthens (legal). NorthEdge was advised by a number of regional advisory firms including BDO (corporate finance), Pinsent Masons (legal), Graphene Partners (commercial due diligence) and EY (financial due diligence).